This is a recipe for Panko Crusted Hummus Chicken. The chicken breast is coated with homemade hummus and dipped in panko crumbs and sauteed for a crispy zesty crust on the outside and juicy tender chicken inside. 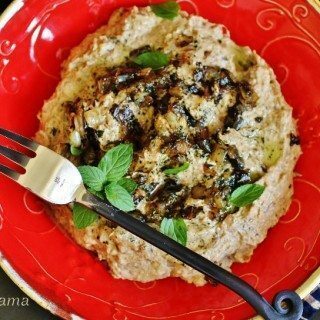 The lemon juice and spices in the hummus is what gives this chicken dish its wonderful texture and flavor. Today I have paired this easy chicken recipe with roasted winter squash, also called acorn squash. This is the time of year when the Winter Squash is at its ripest and is most delicious when roasted with brown sugar and spices. I have steamed some asparagus as a side of vegetable. You may add your own choice of side dishes for this easy meal. To prepare the acorn squash place it on a sturdy surface. It tends to be hard and rolls away from under the knife! 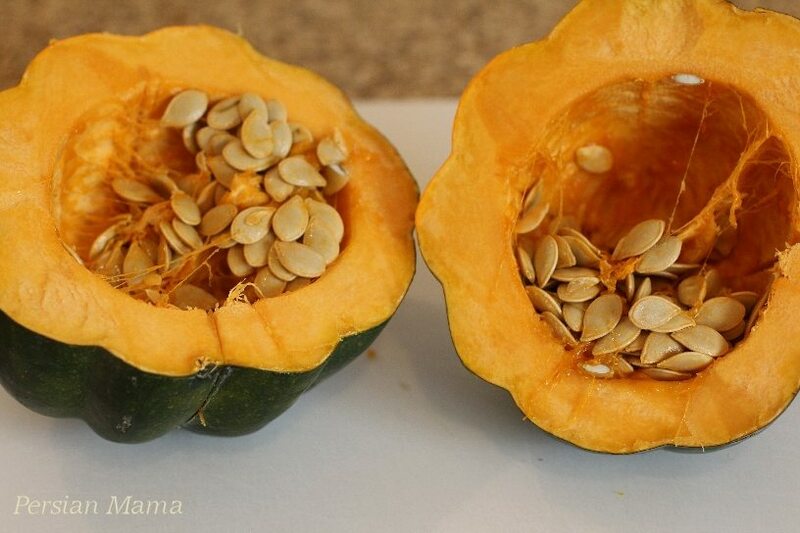 Cut it in half carefully and scoop out all the seeds and membranes with a spoon. and a sprinkle of brown sugar, kosher salt, freshly ground black pepper, and cinnamon. When roasted to tenderness, the brown sugar and butter caramelize and give this squash a beautiful golden brown color and a very delightful, mildly sweet flavor that pairs perfectly with this chicken recipe. Halfway through roasting the squash, start preparing the chicken breast. The skinless, boneless chicken breast is a cook’s best friend for preparing fast and easy meals in a short amount of time. However, we all have had chicken breast that has been either overcooked and is dried up and rubbery or at worst, under cooked and a true health hazard. To get the chicken breast to cook through and still be moist and wonderful you either have to pound it to about half the thickness, or fillet it. 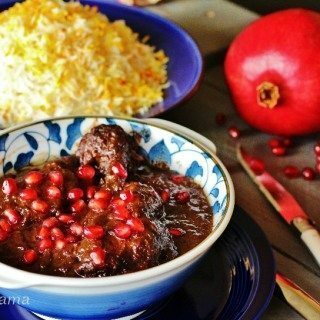 I apply both of these techniques instead of using the whole thickness of chicken breast when I use this versatile meat in my recipes. 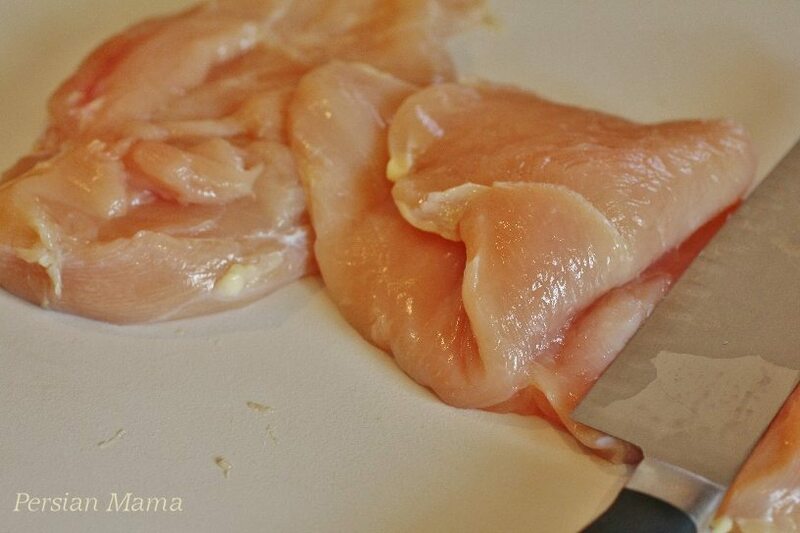 In this recipe I have filleted each breast in half by placing it on a cutting board and while pressing down with the palm of one hand, I have used a very sharp chef’s knife to slice the thickness in half. 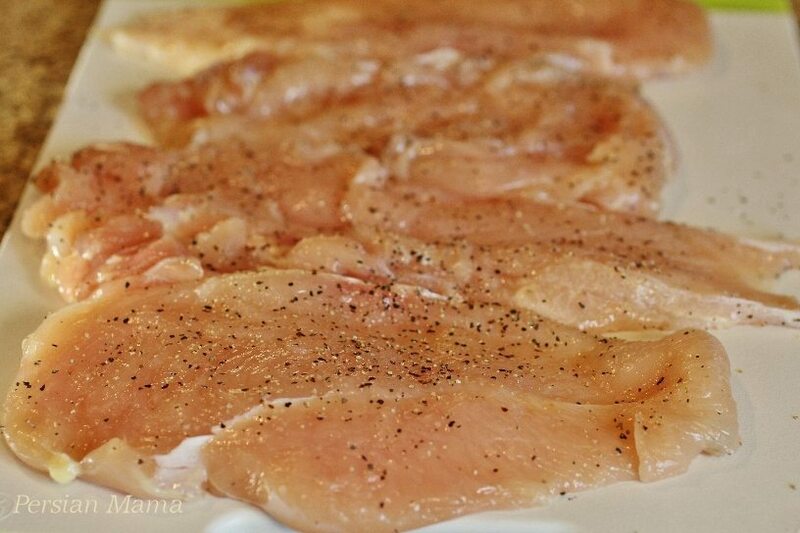 This slicing method allows for chicken breast to be cooked in a shorter time and stays moist and juicy. Lightly season both sides of each chicken breast with kosher salt and freshly cracked black pepper. 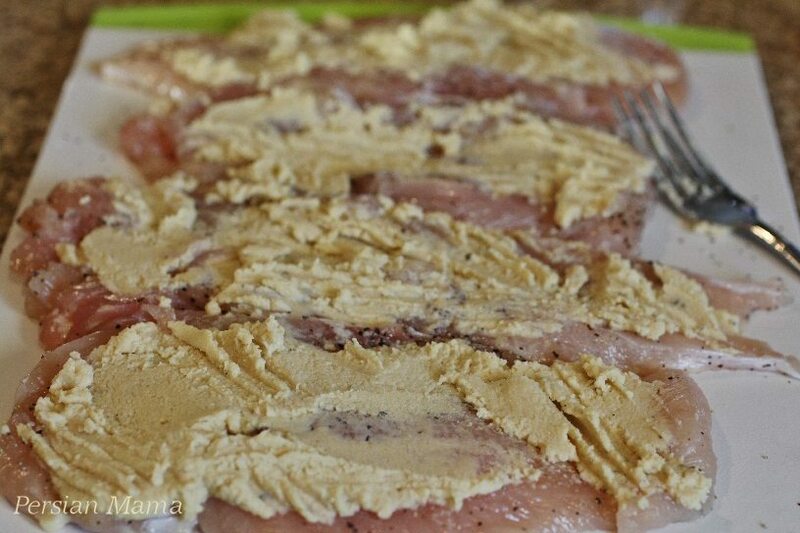 Use a fork to spread 1/8 cup of hummus on each chicken breast. Place the chicken breasts with the hummus coated side down on a plate covered with panko crumbs. 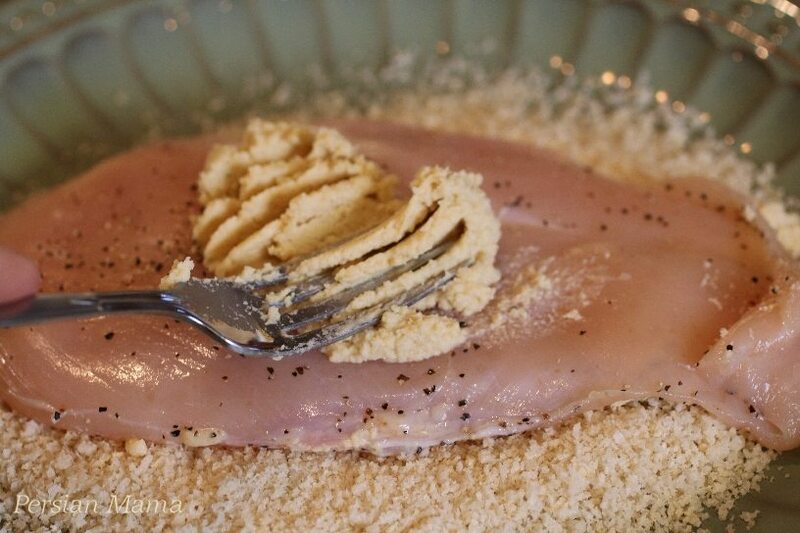 Press the breasts with a fork over the crumbs and spread 1/8 cup hummus on the top side. Flip the breasts and press again so the top side coats with the panko crumbs. Brown the chicken breasts on both sides until golden brown. 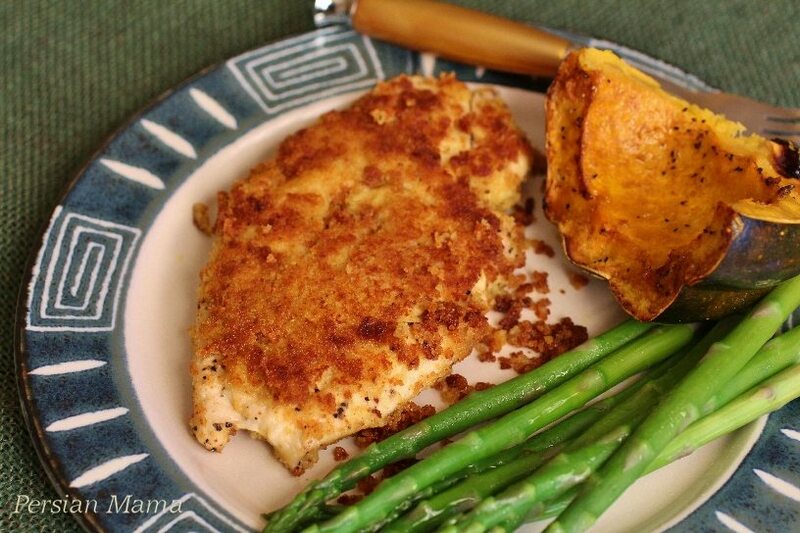 Serve your Panko Crusted Hummus Chicken with 1/4 of the roasted winter squash and the steamed vegetable of your choice & Enjoy! Cut the winter squash in half. 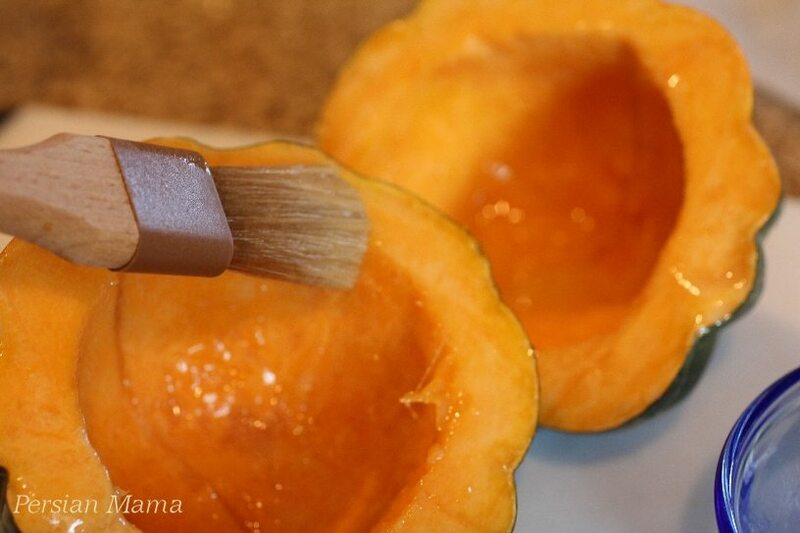 Scoop out the seeds with a spoon and brush the squash with melted butter. 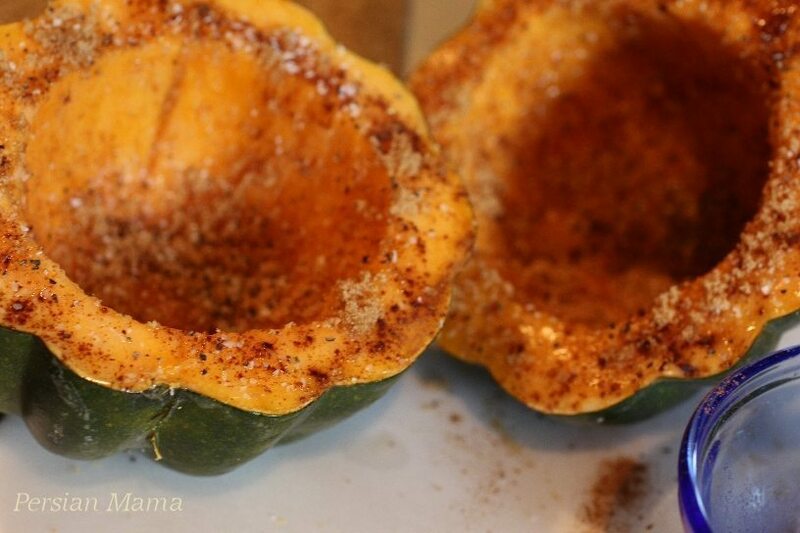 Sprinkle the squash with brown sugar, kosher salt, freshly cracked black pepper and ground cinnamon. 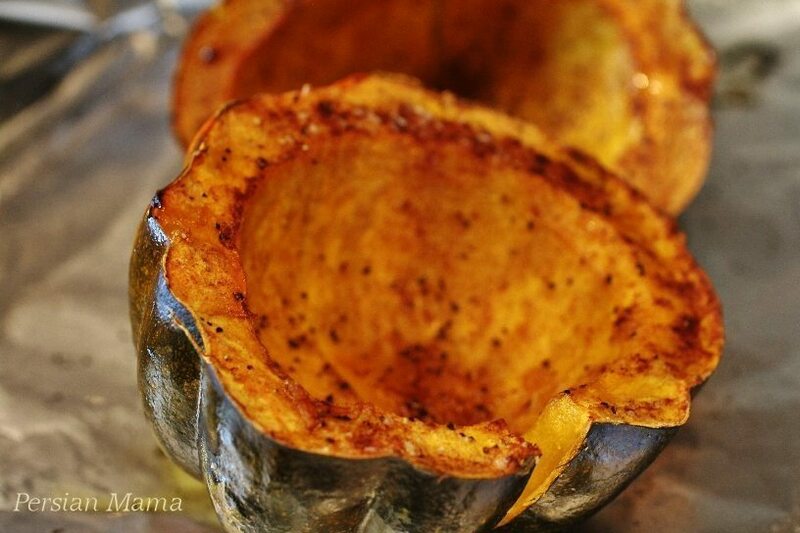 Place the squash with the cut side down on the aluminum foil and bake for about 40 minutes, or until the flesh is fork tender and the brown sugar has caramelized on the edges. Meanwhile fillet the chicken breasts in half, so now you have 4 thinner chicken breasts. Add the panko crumbs to a plate. Lightly sprinkle kosher salt and freshly cracked black pepper on both sides each chicken breast. Place the chicken with the hummus coated side down on the panko crumbs, and lightly press it onto the crumbs. Spread the rest of the hummus evenly on the chicken breasts. Turn the breasts and press against the panko crumbs again, so both sides are coated. Heat 3 TBSP olive oil in a large nonstick skillet over medium heat. Serve immediately with roasted winter squash and your choice of steamed vegetable. The recipe that I have for Hummus on the blog yields 2 cups of hummus, but you will be using only 1 cup for this recipe. Cut the recipe for Hummus in half or be like us and enjoy the extra hummus with vegetables and toasted flat bread as appetizer or snack. I have used only a light sprinkle of salt and pepper for this recipe because the seasoning in the hummus adds enough flavor to the chicken. You may adjust salt and pepper to taste. Just tried the panko, chicken, hummas recipe. It was great! I’ll will be trying more of your offerings. Thanks for sharing. Thank you for the nice comment, and you’re absolutely welcome! 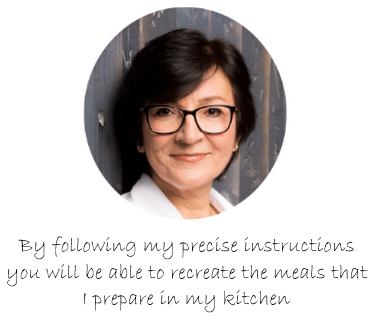 So glad you’ll be trying the other recipes, I can’t wait to hear about them! Delicious!! My family loved it. This recipe is a keeper. Thank you Glorimar for your comment! 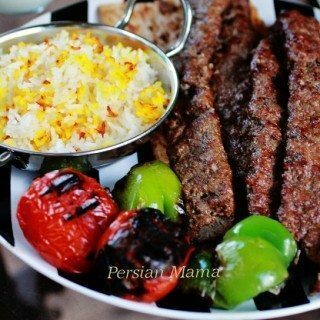 So happy your family enjoyed this dish. Have a great weekend. Hi, do you brush the skin on side of the squash with butter as well or only the cut part exposing the insides? Hello Negar, just the cut part exposing the insides. Hi, the breading somehow slid right off when I made this recipe during the flip of my chicken breasts…any pointers or insight on this? Hi Negar, I’m sorry that your initial try was not successful with the panko crust! The factors that I could think of are: *If the breasts have just been washed, pat them dry with a paper towel and then coat them with hummus. *If the hummus is too soft, the moisture will not let it stick to the chicken. *The amount of the hummus that you’re spreading on each side shouldn’t be more than 1/8 cup. 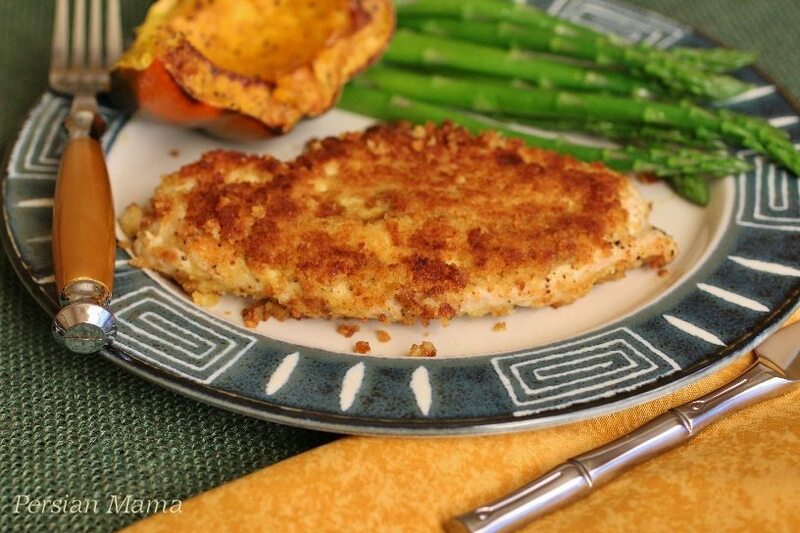 *When coating with the panko crumbs, press on the chicken breasts. *The oil should be hot before you add the chicken breasts to the pan. I hope this helps; please let me know if you have any further questions.